We've heard a lot in about the upcoming spectacular vivo devices based on the APEX concept phone, which is rather expected with the nearing launch on June 12. 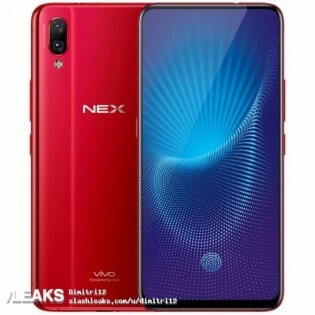 The latest leak, however, comes from vivo's official website, so the information should be as accurate as it gets. 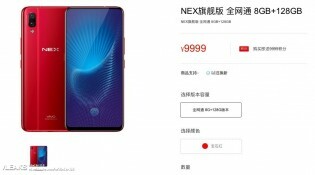 The vivo NEX S and vivo NEX were showcased for a brief moment on vivo's website revealing almost everything you could think of. It also confirms the latest report claiming that the vivo NEX S is actually the premium version of the phone while the vivo NEX is a slightly toned-down variant. The vivo NEX S comes with Snapdragon 845 chipset with 8GB of RAM, a huge 6.59-inch display with 1080 x 2316 pixels resolution and a humongous 4,000 mAh battery. On the back, we find a pair of 12MP and 5MP sensors and on the front, an 8MP periscope camera takes care of the selfies and video calls. The budget version settles for a Snapdragon 710 chipset with 6GB of RAM, but boasts all other specs the full-fledged version has. Unfortunately, the price of the latter has affected the iconic in-display fingerprint feature. 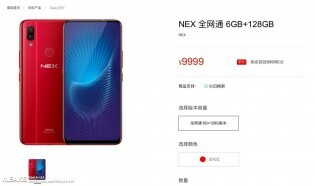 The regular NEX will be incorporating a rear-mounted fingerprint reader. We also remain unsure of the periscope camera - will it be a NEX S-only or both phones will get it. Physics doesn't allow a plane to be bent on all 4 sides at the same time without wrinkles, unless its manufactured in that specific, bent way. So this is mostly out the window. Not talking about glass. I know oled is flexible.